Rapsberry Pi is a tiny computer on a board that uses fairly modern technology, and costs about $35 (or less!) It has nearly infinite use, many of which I’ve been interested to play with — but just haven’t had the time. I found the time recently, though, when I came across a project to use the Pi as a bridge between an old game console and a modern network. Its not just limited to game consoles though. In the early days of these interwebs, we used to have to dial-in a service provider using a phone line, and this crude device that turned computer messages into screeching sounds — and then back again. We called this thing a “mo-dem” (modulator-demodulator), and it opened up the world to us… very, very slowly. 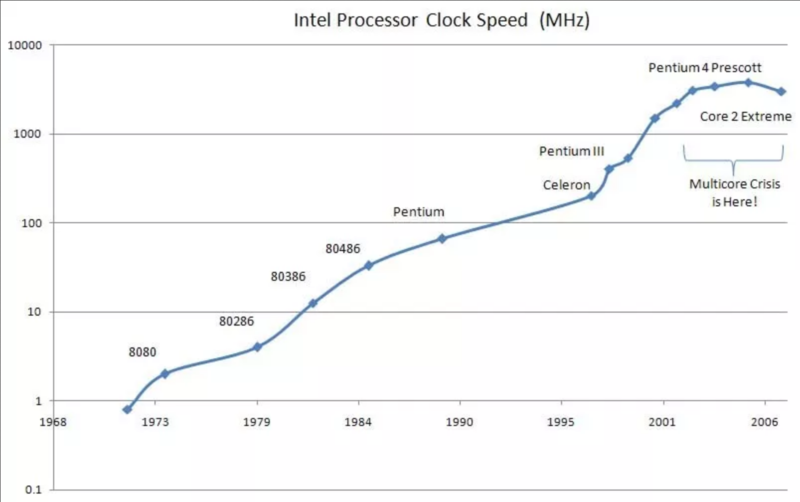 If I had a hobby (and really who has time for hobbies) it would be computer history. I’m fascinated by old computers, and the innovation, engineering and passion that they represent. On every printed circuit board, burnt ROM chip, and floppy disc full of bytes, is the mark of some team somewhere that helped change our culture, inspired new ideas, and created a platform for my generation to invent and create upon. Sometimes in a very literal way — inside every old Macintosh you can find the signature of the team members who flew a pirate flag and turned a computer into something that anyone could use. Anyway, the Pi is 30 years of innovation, shrunk down into a board that fits in your hand, and runs any software you can dream up. 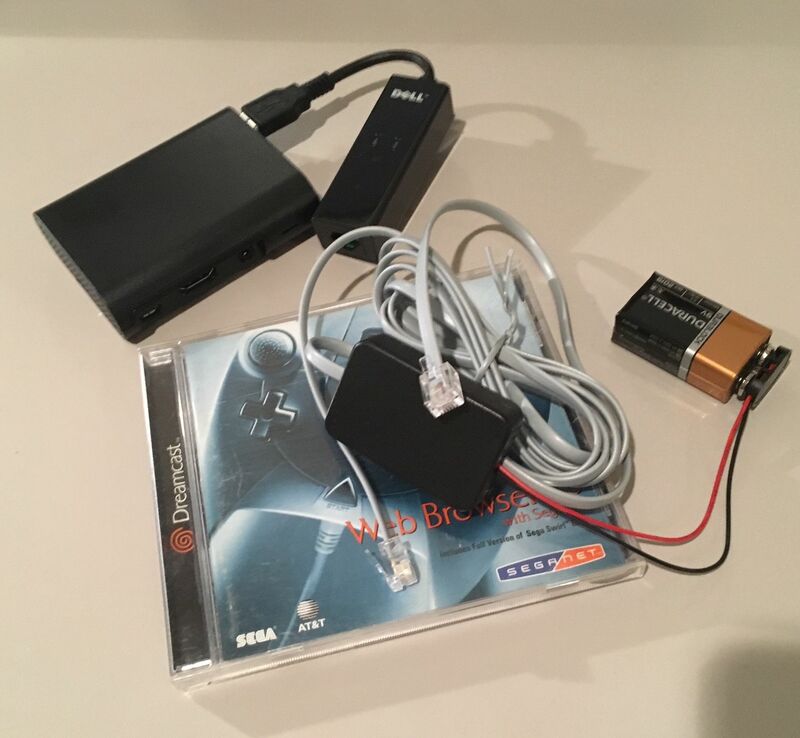 A guy in England took an old hack for getting the Sega Dreamcast online, and jammed it onto the Pi. And thanks to this whole Internet thing, I got to work with him and help make it into something that anyone can use. Its not the first time I’ve gotten involved in a project that existed only in cyberspace — I did US testing and QA for the eSID, another clever hack from an ex-Saab engineer in Sweden. But on this occasion, I was able to help with debugging code a little, which I rarely get to do anymore. Dubbed the DreamPi (Dreamcast + Raspberry Pi), you plug in a USB modem, and hack a 9v battery onto a phone line. The Dreamcast (or any old device) thinks its dialing a ISP from yesteryear, while the Pi pretends to answer a call, negotiate the connection, and accept imaginary account credentials. Then it serves your modern home network up to the Dreamcast as fast as the old modem will drink it up. After a little troubleshooting and a bit more Internet fakery to shield the Dreamcast from long-dead servers and web technology it can’t possibly understand, a sizable catalog of formerly deceased online games — from the first console to really take the Internet seriously — is now back online. Ben and I have been getting pretty good at soldering, and we bundle up all the pieces and sell them on eBay. All the instructions and software are freely available online, but for people not comfortable with Python and a soldering iron, a ready-to-use kit can be had for a fairly reasonable price. We don’t really make any money on them — after I give Ben and eBay their cut, I basically break-even. But there’s satisfaction in extending the life of technology beyond what it was expected to do. Its pretty rough, but if you’re craving some Community, it is possible to install Yahoo! Screen on your FireTV. This quick run through is for reference, and assumes you’ve got standard Android Developer SDK on your PC or Mac, and have enabled the Developer capabilities on your FireTV. You’ll also need the Google Play Services (but not the store) which you’ll sideload, to get rid of some (but not all) annoying dialogs while using Screen. This YouTube video, which shows a similar process for Fire Phone (but over-complicates it significantly!) has a link to the necessary Google APKs. Finally, you’ll need to get the Yahoo! Screen APK off the Google Play store on another device, then extract it for sideloading. There are lots of tutorials for this, so I won’t repeat them. On your FireTV, go to Settings > Applications > Manage Installed Applications. Now that its launched, you have an input method problem. Yahoo Screen (as of this writing) was not made for TVs (or, apparently for Accessibility) so you have to connect a USB mouse to your FireTV (yes, it works just fine!) Alternatively, you can use adb to fake screen taps from the command line on your computer. adb shell input touchscreen tap "200" "200"
When you start a video, tou’ll get a warning about Google Play services not being supported, but you can use your FireTV remote to hit OK and the video will start. The back button on your FireTV remote will work, as will Home, but the video control buttons will not. Hopefully Yahoo will update their app for other form factors and control mechanisms soon — when they do update the app, of course, you’ll have to re-install it. When I was 15, I wrote my first really useful program. I’d written lots of cute little distractions, and followed tutorials to write code that made computers do neat things — my first when I was 11, I think. But during a 10th grade Computer Science class, when the assignment was to write a program that drew 4 different shapes on the screen, I decided to instead write a MacPaint clone. Using Turing. And not even Turing OOP, just crude old procedural code. “I’ll be keeping my eye out for you. These days, Steve’s one-liner replies to apparently randomly selected e-mails he receives, of which I’m sure there are thousands daily, are still exciting enough to make most of the gadget sites and geek blogs. For a 15-year old kid, failing computer science because I couldn’t “follow instruction” it was the encouragement I needed to keep going. When Steve Jobs came back to Apple as the “interim CEO“, bringing NeXT’s revolutionary operating system with him, and charging the brilliant designer Jonathan Ive to differentiate Apple’s sea of samey products in a marketplace full of beige and boring, he re-sparked the imagination of an industry. What he’s done since: from the iMac, to the iPod to the iPhone, delighted all of us, but surprised none who’d used the original Mac. We reasonably expect Steve to shake things up. It is his demanding, sometimes tactless, but visionary genius that shaped his company — and helped shape the industry. I won’t pretend to be emotional about a man I don’t really know resigning from a company I don’t work for — unlike some of the press. But I will acknowledge that this is the end of an era. When Bill Gates resigned from Microsoft, the industry lost a brilliant thinker, engineer and businessman. As Steve winds down his presence at Apple, the industry is losing a brilliant creator, leader and artist. I’m a little disappointed that I was too young to end up working for either of them — having missed Bill by a few years at Microsoft, and having followed a path not likely to end in Cupertino (save for that one night I crashed the bar where Apple employees hang out, Windows Mobile phone in tow!) But I’m proud to have the opportunity to occasionally stand in the shadows these titans still cast. You could chalk it up to a preference for the underdog — and you’d probably be right — but even that considered, you’d have to admit, Apple is not the company it once was. And if you’re an Apple fan/user/cult-member now, it’s not likely for the same reasons that us faithful few were 10 years ago. The original Macintosh was a dream — or rather it was the combination of dreams seized by one charismatic, but arrogantly demanding young leader, then shaped into something he saw as perfect (even in the spots it wasn’t.) It was a rag tag group of creative engineers and code poets, flying a pirate flag, working insane hours, and pouring parts of their soul into a little computer that changed everything… even while it was scorned by the industry it would re-create. Although it never got the respect it deserved, and although the CEO Steve brought into to run the company that grew so fast he couldn’t control it had him ousted fairly quickly, throughout the 80s and 90s, the Mac remained different. And different is good. It stood as a challenge to beige, boring and impersonal. It made technology beautiful, and delightful to use. Even in their darkest years in the mid-90s, when vision drift, product confusion, leadership paralysis and technology stagnation all added up to some less-than-stellar computers baring the Macintosh name and the aging Mac OS, a Macintosh computer still had an intrinsic value — magic, even — that no other piece of technology, save maybe for the Walkman upon its introduction, could evoke. When Steve slowly but triumphantly took back the reigns of Apple Computer, following the acquisition of his follow-up act, the revolutionary but under-appreciated NeXT Computer company, and its impressive technology portfolio, we Apple faithful sat on the edge of our seats waiting to see what would happen. His next moves: enabling the talented in-house designer Jonathan Ive to build the first iMac, the re-purposing of the entirely object-oriented OpenStep OS from NeXT as the long-awaited re-creation of the Mac OS, shocking the world (and eventually the music and media industries) with an MP3 player and music store that people actually loved to use, and finally changing I.T. irrevocably with the iPhone, made us all cheer as the company we loved finally took its rightful place as an admired and chased-after leader in technology. But for me, that’s when it all went downhill. I can only imagine Apple is now what Steve always dreamt it would be. Certainly his exacting and demanding pursuit of perfection, from chassis design to software stack, although infamously making him simultaneously terrifying and inspiring to work for, has lent itself to the creation of some truly beautiful and usable products. But success has put them in the position he so sharply criticized throughout his younger, more idealistic years as a passionate, egotistical, but often-right visionary. Now Apple is “Big Brother” dictating what users can and cannot do with their gadgets they’ve purchased. The friendly Mac face is gone, replaced by the App Store, where Apple takes a 30% cut of every piece of software (and content) that runs on their gear — a brash, monopolistic and cloyingly controlling move that even Bill Gates at the height of his career wouldn’t have dreamt of trying to foist upon an industry. Steve’s top-to-bottom approach that created that imperfect but perfectly lovable Mac, with all its eccentricities that could be tolerated only because so few of us used them that all of us could share the work-arounds and unofficial upgrades that voided our warranties but kept our Macs ticking long after we were supposed to have purchased a new one, has now created generation after generation of disposable gadgets that are really only supposed to be useful until the next shiny Cupertino-produced iToy comes out to make last year’s purchase seem foolish and out-of-date. Love may still go into their design and manufacture, but its a fickle love who’s expiry date is looming almost as soon as the product ships. Don’t get me wrong: I’m still proud to have been a faithful Mac user for the nearly 20 years I spent nursing those eccentric but intrinsically wonderful old Macs along, while cheering for each success my favorite computer company claimed in the face of overwhelming odds. I still love seeing Steve’s first keynote (and many of the following ones!) as iCEO, and those “Think Different” ads still tug at my creative side. But its been a long time since Apple was that company, and although they’ve found the success we always hoped for them, I think they’ve lost their soul in doing so. For those of you who are “new to Mac” and think you’ve bought into something special, I won’t begrudge you the feeling you get when you open that beautifully designed box — just know that what you’re experiencing is a fraction of what it might have been, had you had the guts to buy an Apple product before they were the latest fad. Between the acquisition of NeXT by Apple in the late 90s, and the release of OS X, Apple tried and abandoned a path to merge the two company’s technologies into a new, modern OS. Ultimately, a similar but different path was chosen, where much of the proprietary technology that made OpenStep expensive (specifically Adobe-licensed PostScript) were re-created, and better compatibility (introducing Carbon into the Classic OS to give developers an easier migration path than the hard and fast change to Yellowbox) with existing Mac applications was provided for. Nonetheless, what amounts to an experiment: Rhapsody, essentially the NeXTStep/OpenStep OS with Mac interface elements bolted onto it (sometimes), was incredibly interesting. Yellowbox was to represent the new app platform (with built-in multi-architecture support) while the Bluebox, for compatibility with Classic Mac apps was to be added before release. Shortly I will outline instructions here for getting Rhapsody DR2 (x86) up and running in VMWare. OK, it turns out this process is exactly the same as for installing NextStep. 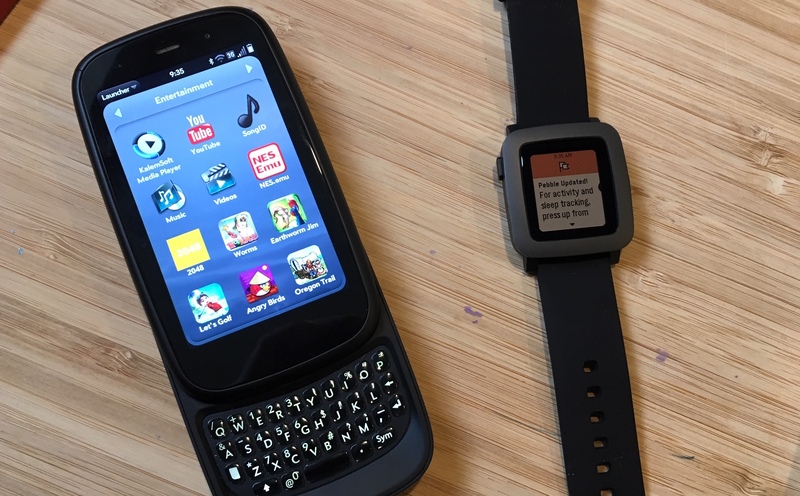 In case it wasn’t obvious, these two OSes are very closely related. This remains the most popular thing I’ve ever posted — despite the fact that its really nothing special. The meat of it is a little start-up script that contains no undiscoverable tricks. I don’t even use it any more! You can also use any other movie you want, which you specify when you edit the script. The screen saver never worked right on a normal Mac, but Scott Q has engineered a replacement. His link appears to be down, but get in touch with him and send him your thanks. The script itself is still available here. Copy and Paste the script into the AppleScript editor, updating it to provide the path to where ever you want your start-up video, and save it as a run-only script. Add it as a Login item in your account, and you’re set. The background image I made is awful (it was just a screen shot) and I’m sure someone’s made better, but I’ll keep that here if you want it. If you do this right, you should only see the wallpaper for a few seconds anyway, so if you make yourself an all black image, or find a nice Apple logo, you’ll be all set. And honestly, that’s all that was released. Like I said, nothing magical. My Mac Mini worked fine as a Home Theater PC, but eventually I just went with an actual hacked AppleTV (which smoothly handles anything but MKV) because I wanted my Mac for other things. If you find any other great ideas, feel free to share them here!